Welcome to the Sons of Corax Blog. The Sons of Corax are a successor chapter of the Raven Guard chapter, formerly the XIXth Legiones Astartes. Stay tuned for more information about the chapter as I add more information to my pet chapter. A little about me, as it relates to the hobby – I was in the hobby for about all of two years from late 2007 to late 2009. In this time I collected quite a few armies – Ultramarines, followed by my own space marine chapter I called the Shadowblades, followed by some dabbling in an Eldar Jetbike army and some Daemons for 40k. I don’t play the game anymore but I am still in it as far as rules theorizing and fluff discussions go. I can be found almost any day, any time of the day, on the warseer 40k forums where I post under the highly unimaginative name of shadowhawk2008. I sometimes dabble in the Black Library forums or the rules development forum or the warhammer fantasy background forums too on warseer but not much. I am much more at home discussing the 40k universe and the good and the bad of it. I’ve attempted to write short stories and novels over the past eight or nine years but nothing has gone far enough in its development. Concerning 40k my first true attempt was an ambitious trilogy dealing with the proper ‘End of Times’ when the Emperor is resurrected (a billion theories on that one! ), the missing primarchs return, the dead/injured ones are whole again and the Imperium has its final battle against Chaos. My aforementioned pet chapter the Shadowblades were going to be a special presence in that. But then I realized that the way I was writing the story was solidifying too many mysteries of the 40k universe, in particular the missing 2 space marine legions, and the whole project was completely over ambitious. 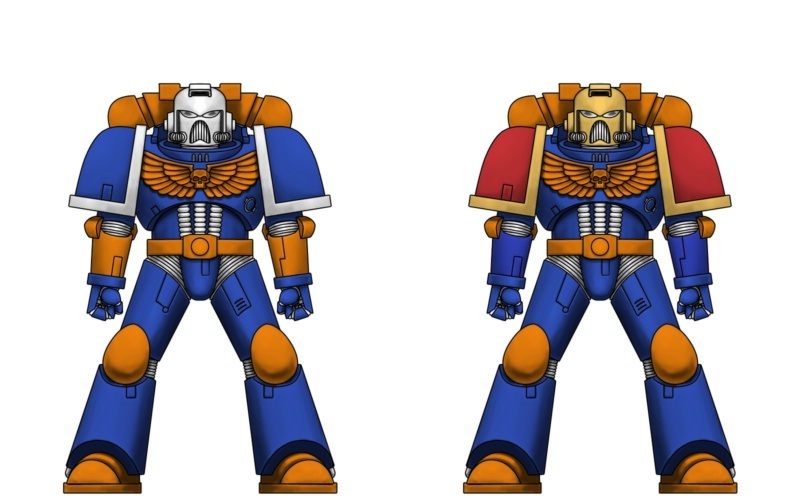 Well then I hit upon the idea of the Mantis Warriors space marines chapter finally ending their penance crusade at the end of the 41st millenium and being a normal chapter. Then I got thinking that I should probably write some shorts first and see where it goes. One of my key ideas in the End of Times trilogy had involved a new founding of the astartes and I was going to feature ten new chapters there. So I started with this idea to come up with some chapters I could use in my shorts. One thing spawned another and another and so on and in the end I finally hit upon the Sons of Corax and their battles in the grimdark universe of Warhammer 40,000. I’ve been working on the Sons of Corax for about 5-6 months now, mostly developing their background so it can help inform my first true short story. And this short will be submitted to the Black Library for their open submissions in May’11. If it doesn’t get the greenlight then I’ll take it to the next level and develop it into a proper novel and try again next year. I have ideas aplenty in my brain and on paper to last a lifetime so that’s not a problem. Stay around for some more info on the short story and the background for the Sons of Corax.